Customers can contact us by phone or WhatsApp to arrange laundry delivery service. Free delivery charge for orders $300 or above. For orders placed before 11am, we will arrange laundry pick-up within the same day; for orders after 11am, pick-up will be scheduled the next day. After we have picked up the laundry items, we will contact the customers again by WhatsApp or telephone to confirm the order number, total charges and payment details. Customers can transfer payment to our bank account (HSBC : 411-281-116-838 ) and send us the image of the payment slip by fax or WhatsApp. Our staff will soon schedule the delivery order upon receipt of payment. 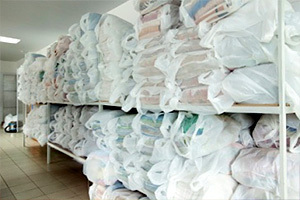 The laundry delivery service is particularly suitable for dry-cleaning or bulky items such as beddings, large plush toys and winter clothing. Free delivery for orders $300 or above. (Click here for price list) . Sunshine 24's 20,000sq.ft self-owned factory is located in San Po Kong and equipped with the latest laundry facilities. The Company has integrated the Japanese automatic operation system and the "5-S®" management module to provide the best care for each piece of laundry item. Our professional delivery service is brought to you by Morning Express, one of Hong Kong's leading courier company with more than 28 years of experience. Customers can enjoy the benefits of a fast, accurate and reliable laundry delivery service. Summer is here. It is time to dry-clean and pack up your jackets. You can enjoy our laundry pick-up service by spending over $300. Just contact us by phone or Whatsapp. After around two weeks, our staff will contact you and send your clothes back. Besides everyday clothes, handbags also need to be cleaned frequently. 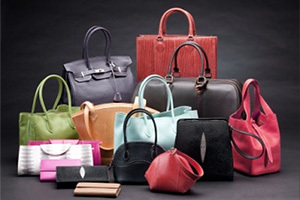 We provide professional handbag and leather care services so that your handbags will always look clean and new. 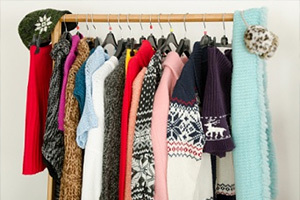 30% off for dry cleaning and 6-months storage services. We provide door-to-door pick-up service for spending over $300. After six months, we will contact you to arrange for delivery.